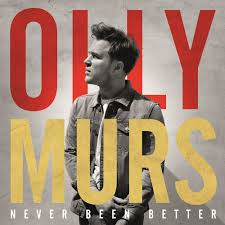 Tesco Direct is offering 200 extra Clubcard points with pre-orders for the new Olly Murs CD, Never Been Better. Due for release at the end of November, it costs £10 to pre-order via this link. There is no point buying the CD purely for the 200 points – the maths makes no sense unless you were very confident in your ability to resell them via eBay for a strong price after postage and fees. I doubt that works. There is another snag. In 99% of these promotions, Tesco adds the points when you order and you see them on your receipt. This one is different and we can only hope that it is not the start of a new trend. You will therefore have to make a note of your order and check your Clubcard statement carefully to make sure that the points do arrive. Unless you are an Olly fan and are buying for yourself, I suggest that this is too much trouble.